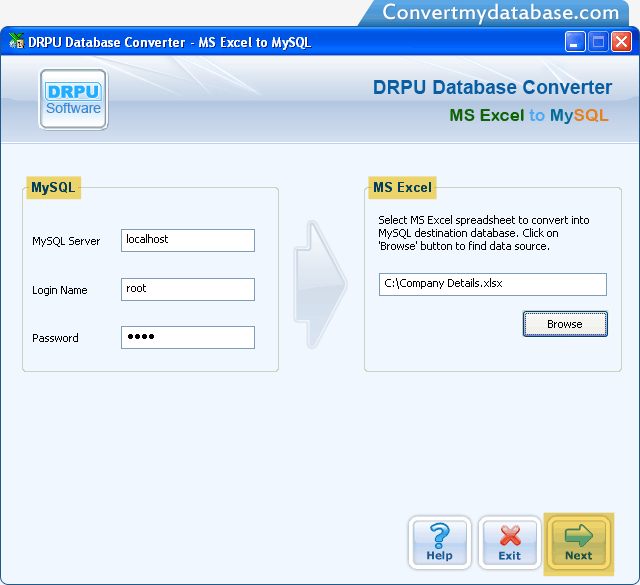 Enter MySQL Server, Login Name, Password, select MS Excel spreadsheet, and click 'Next' button. 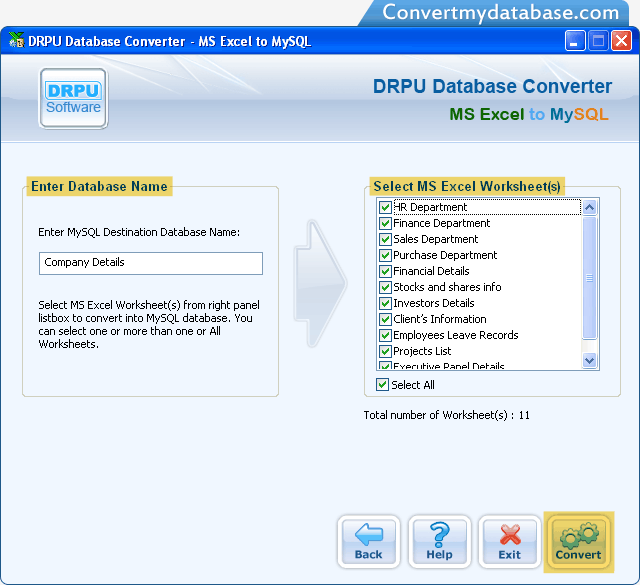 Enter MySQL Destination Database Name, Select MS Excel Worksheets, and click 'Convert' button. 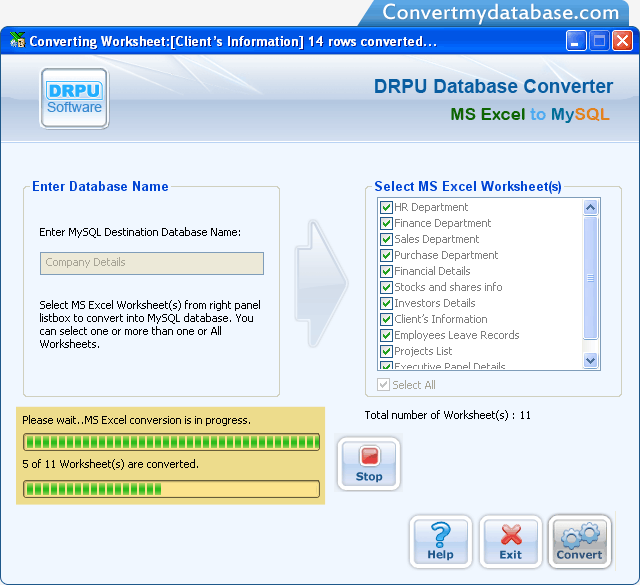 As you can see current status of conversion process.